This unique and exclusive fig delicacy is made from the oldest fruit in the world, following the oldest recipe for preserving figs and wrapped using the oldest form of packaging – simple fig leaves.This beautiful fig ball has been hand crafted from 100% Italian figs from Calabria, where fig trees have thrived for the past 2,500 years. The typical local fig is the "Dottato" variety, unique in the fig world thanks to its rich and soft pulp with very few fine seeds. 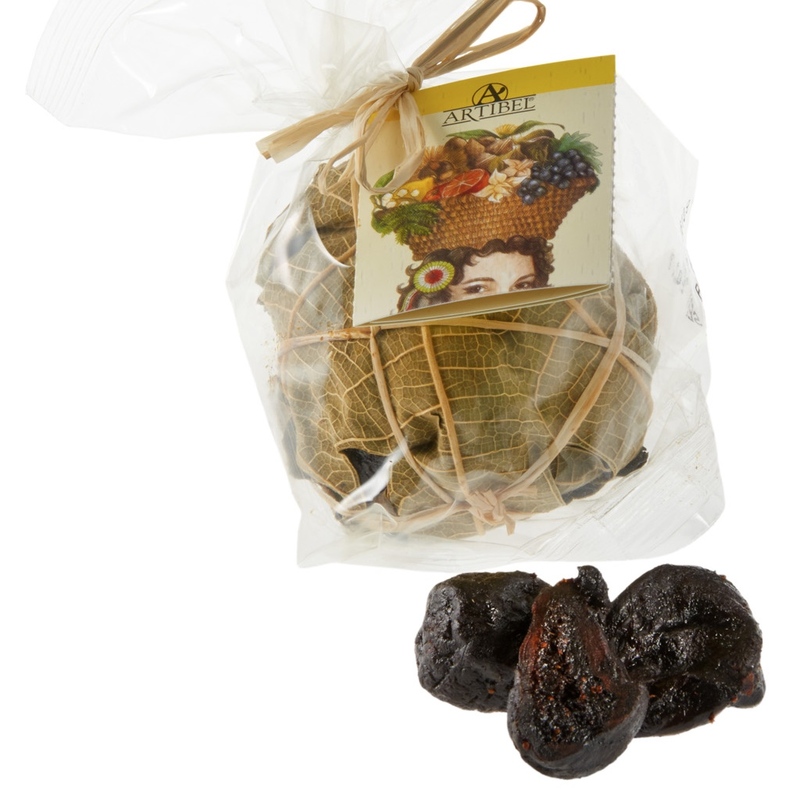 These Dottato figs are harvested when they are nice and mature at the end of the season, divided into "balls" and wrapped in green fig leaves. The baking that follows gives them a strong, intense taste and aroma reminiscent of the plant when fully ripe. They are sweet, soft and succulent, and good for you too! Packed full of minerals (iron, phosphorus, calcium), vitamins (A, B1, B2, PP and C), Dottato figs are also said to be very good for pregnant women, the elderly, children and convalescents. Nothing has been added to the figs as you will see from the very short list of ingredients!How to serveThe fig ball is ready to eat. Serve by opening part of the fig leaves and enjoying the figs whole or cut into pieces. Excellent with red, white and fortified wines. Great served with cheeses such as Pecorino, Parmesan, Gorgonzola, Taleggio, Asiago, Goats and cottage cheese. Wonderful too with ham, bacon or 'Nduja.